Benjamin Franklin was perhaps the greatest Renaissance man of the eighteenth century. A precocious reader from earliest childhood, Franklin was an accomplished writer, a creative media communicator, a satirist with a keen sense of humor, a successful printer and competitive businessman, an enterprising publisher, a widely read and frequently quoted philosopher, a developer of civic institutions, a scientist whose electrical experiments made him world famous, an inventor of practical instruments and objects, an early advocate of cooperation among the American colonies, a prominent and sought after representative of the enlightenment, a resident and staunch defender of the British Empire who became an ardent American patriot, and a shrewd negotiator and conciliator. At the age of 70 he went to France and became the greatest geriatric diplomat in the history of the world. Benjamin Franklin was born in a small house on Milk Street in Boston, Massachusetts on January 6, 1706, the son of Josiah Franklin and Abiah Folger. Benjamin’s great-great-grandfather was Thomas Franklin who was born in 1540 in Ecton, England, and worked as a blacksmith. Franklin family members worked in the smith trade for nearly 300 years. Franklin’s father, Josiah, was born at Ecton in 1657 and served an apprenticeship under his brother John, a dryer, in Banbury, Oxfordshire. Josiah married his first wife, Ann Child, in 1677 and the family came to America in 1682. After Ann died, Josiah married Abiah Folger in 1689. In all Josiah fathered 17 children, an extraordinarily large family even in those days. Benjamin’s mother, Abiah Folger, was the great-granddaughter of John Folger who came to America from Norwich in 1635 and settled in Watertown. His son, Peter Folger, was one of the early settlers of Nantucket, and worked for some years in Martha’s Vineyard as a surveyor and a teacher, becoming fluent in speaking the Indian language. He was invited to come to Nantucket as an interpreter and continued his work there as a surveyor. He was put in charge of the first mill established in Nantucket. At the age of eight his father enrolled him in the Boston Grammar School, thinking his interest in reading would prepare him well for the ministry. But after one year and concerned about the future cost of education, Josiah switched Benjamin to an ordinary school teaching reading, writing and arithmetic. Benjamin showed little interest in academic pursuits. After just two years of the only schooling he ever had, he began training with his father in the soap and candle making business. Cutting wicks and smelling tallow were not Benjamin’s cup of tea either. Both his older brother and his father, recognizing Benjamin’s unusual skill in reading, writing and spelling, apprenticed him in printing at the age of 11 to his older brother James. Benjamin continued his voracious reading habits, borrowing what books he could, and often staying up late at night reading them. He edited famous authors like Addison and Steele, reorganizing their writings, in an effort to become a better writer himself. 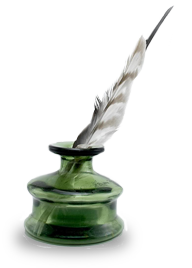 In 1719 his brother James established his own paper, The New England Courant. Benjamin chafed at not being permitted by his authoritative older brother to submit writing of his own, so at 16 he created a delightful character known as “Silence Dogood.” Establishing her as the widowed wife of a clergyman, he wrote opinionated letters from her in secret and at night slipped them under the Courant’s door where James would be sure to find them the next day. James was enchanted by the widow’s essays, and printed them with relish since they attracted considerable interest and comment from his readers. Silence Dogood lampooned subjects from funeral eulogies, to Harvard, whose students she said would emerge from there “as great blockheads as ever, only more proud and self-conceited.” Sometimes Cotton Mather, the son of Harvard’s President, felt called upon to rebut the widow’s views on schooling and religion in the pages of the Courant. When James found out who the real author was, he was not amused. He and Benjamin began to quarrel, with Franklin demanding more indulgences and prerogatives than the typical apprentice of the period was allowed. After a period of time the relationship became intolerable, and one day in 1722, at the age of 16, Franklin simply ran away. He took passage on a ship unannounced and set sail for New York with little money and few belongings. He stopped briefly in New York seeking employment, but when this failed he continued on to Philadelphia to follow up on a lead given him by a New York printer. Arriving in Philadelphia in 1723, where he was to spend most of the next 40 years, Franklin’s ambition, printing expertise, business acumen and social skills blossomed. He soon found employment in a printing shop and boarded at the home of John and Sarah Read on Market Street. The Reads lived there with their daughter, Deborah, who would later become Benjamin’s wife. Franklin was introduced to the Pennsylvania governor, William Keith, who admired his workmanship and urged him to form his own printing shop. He encouraged Franklin to go to London and acquire the equipment he needed, and offered to assist Franklin with letters of credit. When Franklin arrived in London, however, the letters were nowhere to be found. With no resources of his own Franklin found employment with a large printing establishment, made many new friends and enjoyed the social and entertainment opportunities offered by the cosmopolitan city. He attended the theater, dances, scientific lectures and sermons. He was determined, however, to return home. He saved his money and after two years bought passage home, arriving back in 1726. Eager to establish himself in the printing business Franklin found a partner whose father was willing to set them up. The business was successful and even won government contracts printing money. Finding that his partner was holding him back, Franklin bought him out. 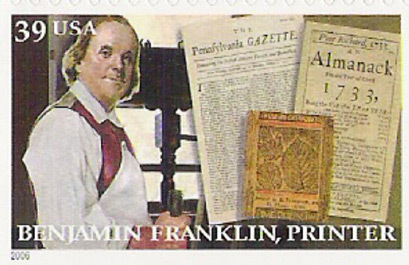 Franklin immersed himself in his work, earned a considerable reputation, and in 1729 purchased The Pennsylvania Gazette, a publication that still exists to this day. He greatly expanded the concept and scope of the Gazette, printing international stories, accepting advertising, publishing many stories by interested writers, illustrating news stories with maps, and doing much of the writing himself, often working late into the night. And he wrote with humor, of course, with moralistic stories written by the likes of Alice Addertongue, a gossip, and Anthony Afterwit, who dispensed advice on love and marriage. In 1730 Franklin married Deborah Read Rogers and soon thereafter they adopted Benjamin’s illegitimate son, William. The marriage was a common-law marriage since there was some uncertainty about the legal status of Debbie’s first husband who had abandoned her. The couple would later have a daughter called Sally, and a son who died at four, a devastating blow to Franklin. Franklin’s marriage proved to be more business-like than romantic. During Franklin’s extensive travels and 18 years of residence in London, Deborah managed his affairs in Philadelphia and is believed never to have left that city. Terrified of ocean voyages she refused Franklin’s invitations to come to London. She died in Philadelphia just before he returned home in 1774. As his business expanded Franklin formed a group of similarly minded tradesmen called the Junto, which evolved into the American Philosophical Society, a Society dedicated to the betterment of mankind. Its membership over the years included such luminaries as John Adams, Thomas Jefferson (who served as President of the Society for a number of years), and more recently Colin Powell and Alan Greenspan. Fifteen members of the Society would sign the Declaration of Independence in 1776. Beginning in 1731 the Junto established the first public library in America, the Union Fire (fighting) Company, the Pennsylvania Hospital, the Academy of Philadelphia which became the University of Pennsylvania, and America’s first fire insurance company. In 1736 Franklin was appointed clerk of the Pennsylvania Assembly, and he was appointed postmaster general of Philadelphia in 1737. In this capacity he traveled to many of the other colonies, enlarging his circle of acquaintances. He set up the city’s first city delivery system and the first dead-letter office. Later on, in 1753, be was named deputy postmaster general for all the colonies. By the mid-1740s Franklin was considered the leading citizen of Philadelphia and the Pennsylvania Colony. In 1748, at the age of 42, Franklin retired from his successful printing business and civic creations, in order to expand his world in other directions. He began studies of electricity which were to gain him worldwide fame and election to Britain’s Royal Society and the French Academy of Science. His writings on electricity and other scientific subjects were translated into French, German and Italian. He was awarded honorary degrees from Yale, Harvard, William & Mary, Oxford, and St. Andrews in Scotland, to which he commented, “Thus without studying in any College I came to partake of their Honours.” Owing to his celebrity he met with many members of the enlightenment like Adam Smith, James Watt and Erasmus Darwin. He was a house guest of David Hume on a trip to Scotland, and enjoyed memorable meetings with Voltaire at the French Academy of Science in Paris. Franklin conducted experiments on evaporation with John Hadley at Cambridge. Interesting people sought his counsel. Joseph Priestly, the discoverer of oxygen and the inventor of the chemical battery, sought him out for his views, and a freed galley slave, Pierre Gargaz, approached him with proposals for a united nations and the preposterous idea of building canals at Suez and Panama to facilitate ocean travel. Electricity from the sky by West. His scientific curiosity and observations led him to invent the lightning rod, the Franklin stove for more efficient heating, and bifocals. Over the years his study, curiosity and observation led him to chart the dimensions of the Gulf Stream, to demonstrate that acid soil could be improved by adding lime, that fresh air was important for good health (which he debated with John Adams one famous night when they slept in the same room), to recommend daylight saving time to conserve candle power, to advocate the benefits of citrus fruits (Vitamin C) for seamen, and to invent the Glass armonica, so that music could be played using glass saucers of different sizes. Mozart and Beethoven both composed music for the Armonica. The famous English statesman William Pitt maintained that Franklin ranked with Sir Isaac Newton as a scientist and inventor. In 1754, as the French and Indian wars broke out, representatives of the colonies met in Albany and Franklin presented his Albany proposal for a unified government for defense. While the colonies were not ready to proceed at this time, Franklin’s ideas were to re-emerge 22 years later in 1776, when constitutional deliberations began for the Articles of Confederation. In 1757 the Pennsylvania legislature sent Franklin to London to contest the right of the state’s proprietors (descendants of William Penn) to remain tax free when funds were needed for the colony’s defense. In 1760 he succeeded in getting parliamentary agreement to tax the proprietors. His son William accompanied him to London and eventually was appointed the Royal Governor of New Jersey. When the Revolutionary War broke out Franklin and William found themselves on opposite sides. William, a confirmed loyalist, was captured and imprisoned for a time, and left for London where he spent the rest of his life. Franklin severed his relationship with William and they never reconciled. When Franklin went to Paris in 1776 he took along Templeton, William’s illegitimate son, and Benjamin Bache, his grandson. Returning to London in 1760, after a short trip home, Franklin represented several states as their agent in London. He stayed on for the next 15 years in this capacity, enjoying his celebrity, meeting many famous people, making many new friends, and enjoying all that London had to offer. Soon after the British drove France out of North America in the Seven Years War, Parliament began to consider ways to tax the colonies to help pay for the expense they had incurred in fighting the war. One of the earliest tax proposals was the Stamp Act, seeking to impose a tax on paper documents. In 1766 Franklin was invited to appear before the House of Commons to answer 174 questions concerning “taxation without representation,” and a vigorous debate ensued. Franklin maintained that Americans would never accept or enforce the Stamp Act. Members left the meeting impressed by Franklin’s grasp of the tax situation. Soon thereafter the Stamp Act was repealed. But other tax proposals quickly ensued. Franklin underestimated the growing anger and resentment of the colonists over the next few years and strove to reconcile British and colonial views, firm in his belief that the greatest body politic in the world was the British Empire. In this capacity he met with Frederick North, the Earl of Guildford, Lord Clare, the former head of the Board of Trade, the nephews of Sir Robert Walpole, and the pro-American Lord Dartmouth. He wrote to revolutionaries in New England trying to cool their passions so that things could be worked out. In 1773 Franklin acquired copies of secret letters from Royal Governor Hutchinson of Massachusetts, showing that the Governor favored abridgment of American liberties if necessary to prevent rebellious actions. In an unwise move Franklin sent copies of these letters to several of his friends in Massachusetts, pledging them to keep the letters secret. As might be expected the letters were soon published. When Parliament learned that Franklin was responsible for the leaking, they went absolutely bananas. Franklin was ordered to appear at the Cockpit, near Whitehall, where solicitor general Wedderer proceeded to dress down and insult Franklin for a full hour, berating him for his role in the release of the letters and calling him a liar and a thief. Franklin remained motionless and expressionless during the whole proceeding. He left the meeting determined to leave the country he loved and admired so much and return to America. Before leaving for Philadelphia Franklin met several times with Lord Richard Howe to discuss reconciliation possibilities, but there was no meeting of the minds. The next year, in 1776, Lord Howe would be appointed to lead the British invasion of America. Franklin, accompanied by Adams and Rutledge, would meet him again in 1776 at the Billopp House on Staten Island in a last fruitless attempt at reconciliation. Benjamin Franklin returned to Philadelphia in 1775, two weeks after the outbreak of hostilities at Lexington and Concord. The very next day he was chosen as a delegate to the Second Continental Congress. As 1776 dawned American public opinion began to move toward independence. In January Thomas Paine released his famous Common Sense pamphlet calling for American independence, after showing it to Franklin and several others. After the debate over Richard Henry Lee’s resolution for independence on June 7, a drafting committee for a Declaration of Independence was formed consisting of Thomas Jefferson, John Adams, Benjamin Franklin, Roger Sherman and Robert Livingston. The Committee met several times and Jefferson began drafting the document. On June 21 Jefferson asked for the input of Adams and Franklin on an early draft. The Congress further edited the document and it was approved on July 4, 1776. Printed the next day in a broadside, the Declaration was widely distributed, read in public, copied, and printed in newspapers. A parchment copy was prepared after several weeks and Franklin and the other delegates began signing it on August 2. Franklin was appointed a commissioner to France to negotiate a French military alliance. Upon landing in Brittany in December 1776, he found himself lionized all the way to Paris as people turned out to see Benjamin Franklin, the most famous American in the world. The French reaction to Franklin’s arrival in Paris was comparable to the American reaction to the Beatles’ arrival in America some 200 years later. Franklin-mania reigned, with the image of Franklin appearing on dishes, vases, snuff boxes and in chamber pots. Eager to atone for its loss of empire in North America, and to weaken its ancient enemy Great Britain, France had already begun clandestine shipping of military equipment and supplies to America. When British ambassador Stormont protested these activities, the French ministers maintained ignorance of what was happening. Signing the Declaration of Independence. Franklin soon gained an audience with the French minister Charles Gravier, comte de Vergennes, and they bonded almost immediately. Franklin was cool and businesslike, asking only for a treaty for trade and commerce. Vergennes was astonished at the modesty of the American proposals, and Franklin’s lack of zeal in pushing them. With spies, supplicants and admirers suffocating Franklin in his quarters in central Paris, Vergennes arranged for plush accommodations near Versailles in Passy, at the estate of Chaumont, a wealthy confidant of the French minister, who would become the primary French financier of the revolution. As Washington’s military disasters in New York and New Jersey became known in Paris, Franklin artfully spun these defeats as American advantages. He expressed full confidence in General Washington and upheld the governing prowess of the Continental Congress. In 1777 the military situation worsened as Howe advanced on Philadelphia and Burgoyne began his march south toward Albany. But Franklin continued to downplay the seriousness of the military setbacks and America’s need for help, exhibiting a sunny and optimistic manner. In view of America’s uncertain military prospects, Vergennes was in no hurry to take a formal stand on French aid, and Franklin did not press him. The prospects for a treaty languished, and the American Congress began to grouse over Franklin’s lack of progress. When the news of the American victory at Saratoga reached Paris in December, Vergennes sensed that America might have a real chance against the British. He quickly changed direction and offered treaty proposals. 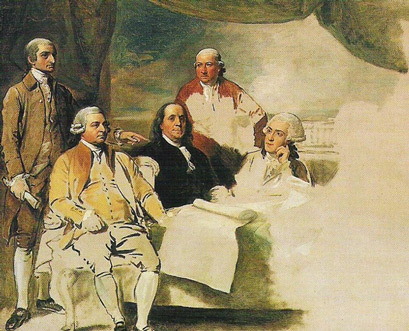 Great Britain, realizing that prospects for a French alliance were greatly increased, also came forward with a flurry of accommodating treaty proposals, but none granting American independence. Franklin maintained his loyalty to America’s new friend, keeping Vergennes fully informed of the British treaty maneuvers. Finally two French treaties were made and signed, one for military assistance, and the other for trade and commerce. As the treaties left French shores for approval by the Continental Congress, Britain rushed forward new conciliatory proposals for the Congress as well. These arrived in Philadelphia eight days before the French ones. Having heard nothing of the French treaties nor having received any recent message from Franklin, Congress was perplexed by Britain’s sudden generous concessions. However, in a few days, the delegates were ecstatic when the French treaties arrived. They were quickly approved. Before this happened, Congress had grown impatient with the apparent lack of progress made by Franklin, and appointed John Adams as a new commissioner to get things going. Upon his arrival in France Adams was astonished to learn that the treaty he was empowered to come and make had already been made, that it was on its way to America, and that Franklin had become the toast of France. Adams was grateful to Franklin for introducing him to Vergennes, Louis XVI, other important officials and the French way of life. But the tension among the (now) five commissioners was palpable, with squabbles about being left out of things, jealousy over Franklin’s access and success, criticism of his easy adaptation to the French way of doing things, and annoyance over the degenerate French culture. Adams tried to rein in the dissension, but quarreling continued. The criticism of Franklin was relayed to the American Congress by several of the commissioners, including Arthur Lee, the brother of the influential Richard Henry Lee. To establish order in Paris, Congress, after much deliberation, appointed Franklin minister plenipotentiary in late 1778. Subsequently, however, anger developed in Congress that France and Franklin were not doing enough. Over the next several years Congress made attempts to replace Franklin in Paris, but Vergennes would have none of it, making clear each time that France would have no one but Franklin. Despite the contention and frequent lack of support from home, Franklin was able to hold the French alliance together for six full years and secure continuous and substantial French loans for the American cause throughout this difficult period. In 1781, at Yorktown, the British Army surrendered to the combined American and French armed forces, ending hostilities. The three countries then entered into protracted negotiations over the peace treaty. The American commissioners consisted of Franklin (at Vergennes’ insistence), John Adams, John Jay and Henry Laurens. At first Britain wanted to make independence a bargaining chip, but Franklin and the others rejected this out of hand. Both France and Britain had their own strong interests and points of view to negotiate, apart from America’s requirement for written confirmation of independence. The three-pronged process dawdled along with a succession of British negotiators and little forward movement. Toward the end of long deliberations, dismissing the agreement to work closely with the French ministry, Franklin reluctantly joined Adams and Jay in direct negotiations with a new set of British commissioners. The Treaty of Paris was completed in 1783, securing recognition of American independence and boundaries stretching all the way to the Mississippi River, a provision which doubled the size of the United States. It fell to Franklin to explain to Vergennes what the Americans had done without French participation, and he apologized in the most humble, profuse and diplomatic manner for this unilateral action. Vergennes was faced with a fait a compli, but insisted on American agreement to hold public release of the treaty until Britain and France had agreed to their own treaty. Subsequently Britain and France agreed to a second treaty, the Treaty of Versailles. When the Treaty of Paris was finally announced, Americans everywhere celebrated wildly its formal recognition of independence and the end of eight bitter years of war. After the peace treaty was concluded, Franklin stayed on in France, writing his autobiography and enjoying his many friends, particularly those of the female gender. As John Adams noted, French women had “an unaccountable passion for age.” Franklin enjoyed viewing the takeoff of the first successful aviation flight in history when the marquis d’Arlandes and a companion completed a 12 mile flight in a hot air balloon. The marquis sought out Franklin afterwards to assure him that he had landed safely. Finally Franklin was recalled in May 1785 and Thomas Jefferson was appointed in his place. When Jefferson was asked whether he had come to replace Dr. Franklin, he famously replied, “No one can replace Dr. Franklin. I can only succeed him.” Franklin returned home to Philadelphia in 1785 to a tumultuous welcome. 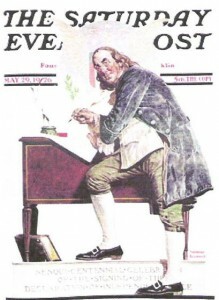 From 1786 to 1790 Franklin wrote many pamphlets and letters. His last public action was to petition Congress for the abolition of slavery. Benjamin Franklin, attended by his two grandsons Temple Franklin and Benjamin Bache, died on April 17, 1790 at the age of 84. Over 20,000 people attended his funeral, the largest and most impressive funeral in Philadelphia to that point in time. So ended the life of one of the greatest and most versatile statesmen in American history. He is buried in the cemetery of Christ Church in Philadelphia, beside his wife Deborah. James Madison moved that the House of Representatives wear mourning for one month, and the French National Assembly in Paris wore mourning for three days. Memorials to honor Franklin are too many to enumerate, both in the United States and abroad. His home on Craven Street in London near Charing Cross celebrates his residency there with costumed docent tours. His home sites in Paris are well marked as well. In Philadelphia his name graces buildings, highways, a street, a football stadium and bridges. The Franklin Institute, memorializing Franklin’s great interest in science, houses the Benjamin Franklin National Memorial with its impressive statue of Franklin by James Earle Fraser. In 1981 the Free and Accepted Masons of Pennsylvania dedicated a bronze statue of Franklin overlooking the Philadelphia Masonic Temple, to celebrate 250 years of free masonry in Pennsylvania. His face appears on stamps, coins and paper currency. Two Presidents proudly bore his name, Franklin Pierce and Franklin D. Roosevelt. 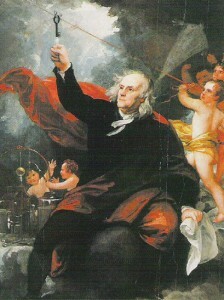 Benjamin Franklin figures prominently in John Trumbull’s famous painting “The Declaration of Independence” in the Rotunda at the U.S. Capitol, and in the mural painting by Barry Faulkner in the Rotunda at the National Archives. In 1862 a statue of Franklin by Hiram Power was installed in the Senate wing of the Capitol. In 1968 Franklin was voted into the International Swimming Hall of Fame for his coaching and teaching of swimming as a young man, and in recognition of his three and a half mile swim in the Thames River. 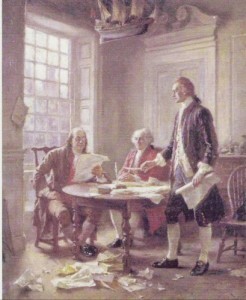 Only the signature of Benjamin Franklin appears on all four founding documents that sealed America’s independence and secured her future: The Declaration of Independence, the Treaty of Alliance with France, which made possible the victory at Yorktown, the Treaty of Paris, which secured British recognition of American independence, and the Constitution of the United States which is now the oldest extant constitution in the world. I just found out through 23 & Me (a DNA research firm in California), that I am a descendant of Benjamin Franklin on my Father’s side. My Father, Warren P. Waters, was a great scientist, who created pioneering inventions in the semi-conductor field in California at Hughes Aircraft (1922-2000). He holds eleven patents, one of which is in the Smithsonian Chip Collection (see the silicon wafer and fused junctions). I guess we know where he got his scientific genes from now. I am very excited to learn that I am related to one of the greatest statesmen and inventors in history. I have been told that I am a diplomat. I am a professional musician now living in Scottsdale, Arizona. My Uncle Donald Waters is a retired engineer and expert in radio communications systems. My Grandfather Carl Waters was the electrical engineer who designed the lighting for the Oakland Bay Bridge and the San Francisco Bay Bridge. I understand that his lighting system lasted 70 years until they needed to build a turn off for an island and had to redesign it. My Father had a very high forehead (and receding hairline) just like Ben Franklin. I have a nephew who is attending a school for robotics. He designs intricate systems in cyber space. I also have another nephew who has a degree in chemistry. My own son, JeanRene Broe is an artist and my daughter is a writer. I am sending you a picture of my Father and my Uncle Don. My Father Warren Waters is on the left with the bow tie. Carolyn, some interesting tidbits in your post. First, let me say that DSDI does not recognize DNA as proof of descendancy, primarily because this is still an interesting experiment in tying specific members of today’s population to specific members of seven or eight generations ago. I can tell you that we have no records of any Waters descendants of Benjamin Franklin, but we do know that the family does have a branch in California. Note that this does not mean you are not a descendant, just that we have no genealogical record to that effect. Also I notice that you have used two terms somewhat interchangeably, “descendant” and “related to”. You can be related to Benjamin Franklin, but not descended from Benjamin Franklin. The problem with DAN is we cannot tell which the relation is. Having said that, if you can provide me (via registrar@dsdi1776.com, not here) what you think the connection from you back to the Signer is, I can certainly provide some assistance in that area. I was told on my mothers side I am related to Ben franklin. I have done ancestry.com is there anyway to verify this? Thanks in advance. Please note that DSDI does not track relatives of any of the Signers, just their grandchildren, or direct descendants. You might have more luck with your question on a different forum. You simply need to start your own Genealogy search via Ancestry.com and other such sites. Start a chart and keep researching. I’m on the same hunt and believe I am related to him via Abiah Folger!!! 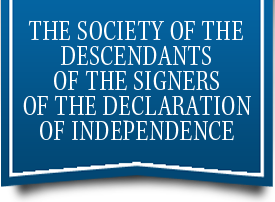 Please note that DSDI does not track relative of any of the Signers, just their grandchildren, or direct descendants. You might have more luck with your question on a different forum.